Choosing a mattress isn’t as easy as it seems. This is especially true if you’re looking for a mattress with a medium feel. With the many models available, it can get really confusing which mattress to buy. If a mattress with a medium feel is what you’re after, the Eve mattress must be in your short list. It’s a mattress that strikes a good balance between firm and plush. It also doesn’t sleep hot, thus the likelihood of you waking up and drenched in sweat is very low. The Eve Mattress from UK-based Eve Sleep is said to be one of the most comfortable mattresses around. The company is so confident about its claim that it is offering a long, 100-day free trial. That means that if you aren’t satisfied with the mattress, you can return the item and get your money back. The Eve mattress address the common issues people have with the memory foam mattress. One is the ‘sinking’ feeling when you sleep on a memory foam mattress, to the point that it can be difficult to move around. Second is the overheating as you sleep. This mattress has several layers, made of various kinds of foam. 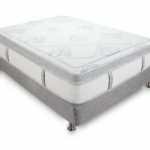 The top layer is around 4 cm of memory foam, which is well-known for providing pressure point relief and support. The middle layer is around 3 cm of polyurethane foam, which has a lower density compared to the upper and bottom layer. This is a key feature because it lets the mattress “breathe” better, allowing increased air flow and preventing heat retention issues. The bottom layer is around 18 cm. 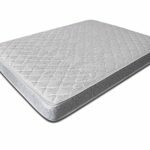 it’s made of high density foam, acting as the foundational base for the bed. It provides the good shape of the mattress. There’s also a washable cover included in the package. It has a thin and knitted fabric layer. It has a soft surface that makes the mattress nice to sleep on. It is available in different sizes. Aside from the California King-sized mattress, it also comes in twin, twin XL, queen, king, and full. This mattress has a medium level of firmness. If I am to rate it from a scale of 1 to 10 (with 10 as the firmest) then I would say it’s a 6. Because it isn’t as plush as other mattresses, the Eve mattress does not facilitate motion transfer. Simply put, you can have a good night’s rest when you have this mattress. No matter how many times your partner tosses and turns, you won’t feel his or her movement at all. The lack of bounce may be good for sleeping, given the lack of motion transfer that can disturb your slumber. But it also makes the mattress not ideal for other activities where a little bounce could be more desirable, like playing around with your kids. When you lay down on the mattress, you won’t experience any “sinking” feeling. 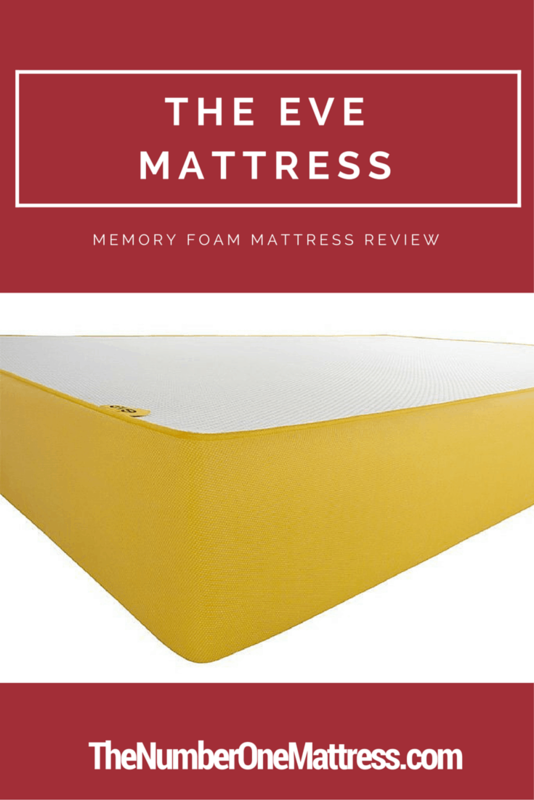 The combination of memory foam and polyurethane foam gives the mattress an excellent sleeping surface. The polyurethane foam, in particular, is the one responsible for heat dispersal. It lets air to circulate within the mattress. As such, you can expect this mattress to stay cool in the summer. There’s no worry of sleeping hot, so to speak, when you have this mattress. The Eve mattress comes with a from its manufacturer. The warranty covers defects in materials and workmanship. If you notice that the mattress has sagged by more than one inch, as long as that isn’t a result of an improper or unsupportive foundation, then you can report it to the maker which in turn will either replace or repair it. 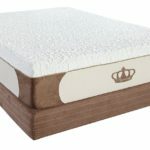 The warranty also covers any physical defect in the mattress causing the foam material to split or crack, as well as manufacturing defect in the fabric of the mattress cover as well as the zipper assembly. Depending on the arrangement, the maker may either repair or replace the mattress or pay for the costs of repair and spare parts. A cursory look at the reviews on Amazon.com indicates that the mattress is generally well-received by those who have bought it. 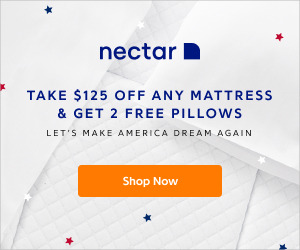 Many reviewers on the popular online superstore agree that the mattress is comfortable and cool enough for a good night’s sleep. Others are still in awe with the 100-day trial period offered by the company, while some say good things about Eve Sleep’s customer service. A reviewer shares how he was so satisfied with the customer support of Eve Sleep. He wrote that he initially ordered for the mattress with great expectations. But after a month of using it, he realized that it wasn’t soft enough for him. He said it also hurt his back. After contacting the company, he was offered a mattress topper to cushion the surface. What was even more impressive was that the topper was offered for free. To make the long story short, the topper was a fine solution to his problem and he has continued to use the mattress for more than a year now. 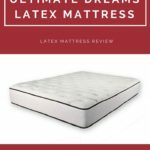 Another reviewer on Amazon.com whom introduces herself as an 80 year old says that this is the best mattress that they’ve ever had. She says that after 55 years of marriage, she and her husband have never slept on any mattress as comfortable as the Eve mattress. Curiously, she reports that the mattress has even treated a crippling pain in her right knee. Although she is not sure if it is because of the mattress, the reviewer still thinks highly of the Eve mattress. The elderly concludes that the mattress is among the best purchases they’ve made as a couple. There are also reviews about how easy it is to fall asleep on this mattress. One reviewer says she has problems falling asleep on any bed. She was encouraged to buy the Eve mattress because of its 100 day trial period offer. She recounts sleeping within 10 minutes after lying down on the mattress. The reviewer says the days of turning back and forth trying to get asleep are now gone, thanks to the Eve mattress. 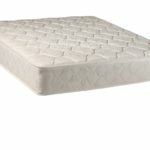 Another reviewer also went to the extent of comparing the Eve mattress to a hotel bed she had recently slept on. She said the old spring mattress she slept on the hotel will not be able to hold a candle against the Eve mattress in terms of comfort. She added that she even has troubles rising up in the morning, as all she wants is to lie down on the Eve mattress. However, not all reviewers are happy with the Eve mattress. The common issue that unsatisfied owners have with this mattress is the unpleasant odor that emits. Others, however, say that this can be remedied by opening the windows in the room on the first night of using the mattress. 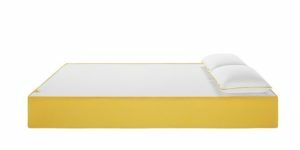 The Eve Mattress from Eve Sleep may very well be one of the few mattresses today with a good combination of plushness and firmness. It is right in the middle of soft and firm. 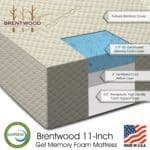 This is the right kind of mattress if you are sick and tired of sleeping on memory foam mattresses that give you the sinking feeling. Moreover, this mattress won’t overheat. You don’t have to be anxious about getting sweaty in the middle of the night when you buy this mattress. And with the 100-day trial offer of Eve Sleep and the 10-year warranty, what is there to be worried about purchasing this mattress?